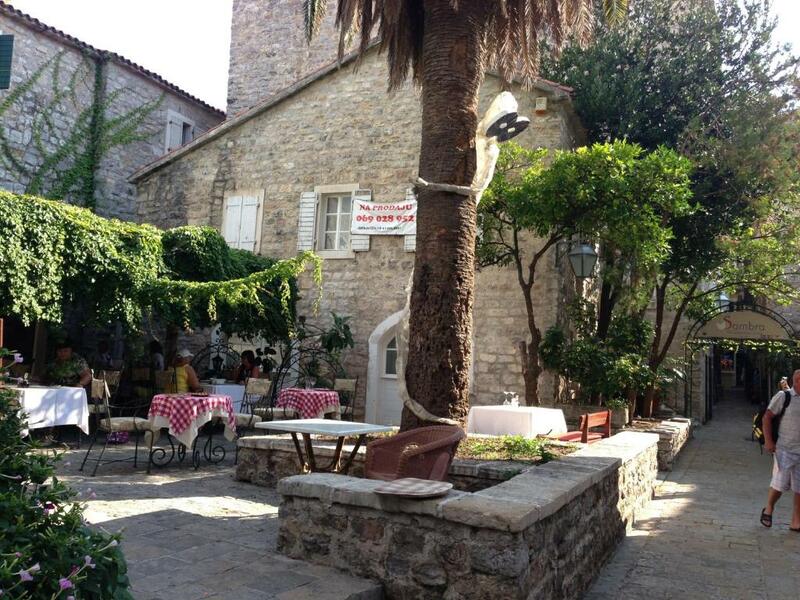 This is a nice apartment in the heart of old town Budva, where there are loads of restaurants and bars. There is a lot going on in the evenings, up until 1am, when the noise from outside stops. There are a few beaches at walking distance that were very crowded even after peak season. However, there are beaches a short boat ride away that are prettier and less crowded. Everything was great. Perfect location, spacious and comfortable, well equipped. I will come again for sure. 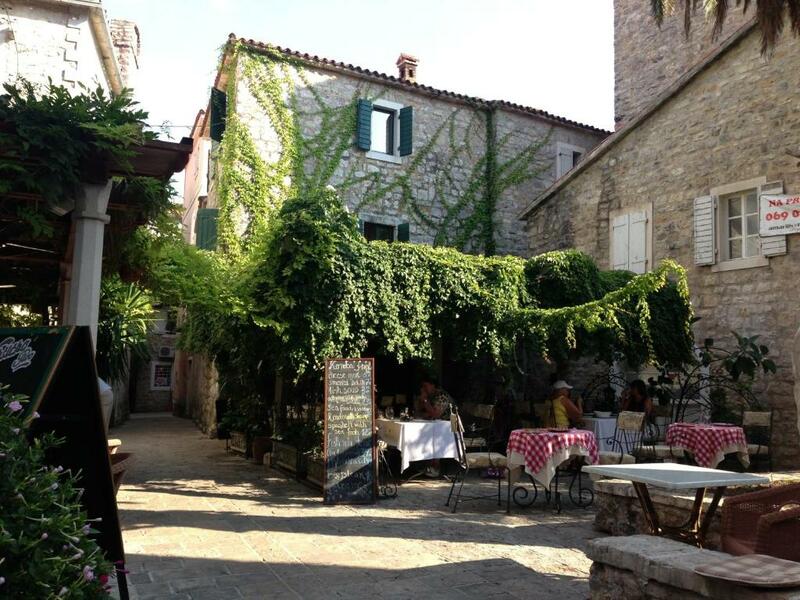 The location is the best in the Budva's Old Town. The apartment is spacious, even elegant and brilliant of cleanness. 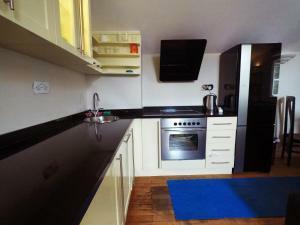 The kitchen is provided with all is necessary (maybe a microwave oven can be added). The illumination is good in the bedroom and satisfactory (-) in the living room. In some evenings the noise from the restaurant arrived in the bedroom even when the windows are well closed. Really big and had everything to feel like a home away from home. Location is basically perfect. Good communication from the host; the keys were easy to pick up from a nearby jewellery shop. The apartment was just about perfect! Elegantly furnished, all amenities you could wish for. Wifi was good, and plenty of choice in tv channels. There is even a dishwasher and washing machine. Perfectly located in Stari Grad, just a short walk to the beach. Thank you for a lovely holiday, Antonella! Esta muy cerca de la playa, en la parte del casco antiguo -precioso! Esta muy bien equipado para estar comodo y disfrutar de la estancia. La amfitriona era muy simpatica, amable y dispuesta en ayudarnos con todo. Nos facilito mucha informacion util. Lo recomiendo!! Отличные апартаменты, есть все для комфортного отдыха. Идеальное место расположение. Хозяйка жилья Антоннела всегда на связи и поможет с решением любых вопросов. 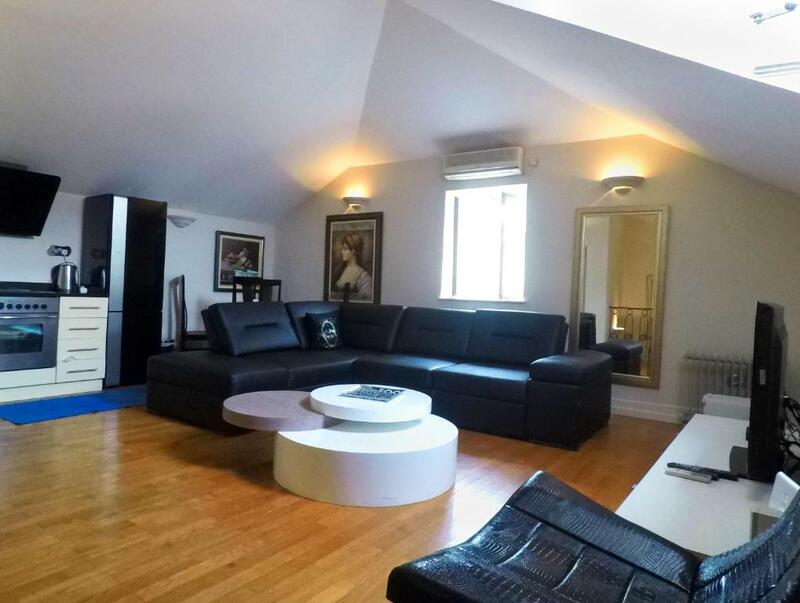 Lock in a great price for London Apartment - rated 8.9 by recent guests. 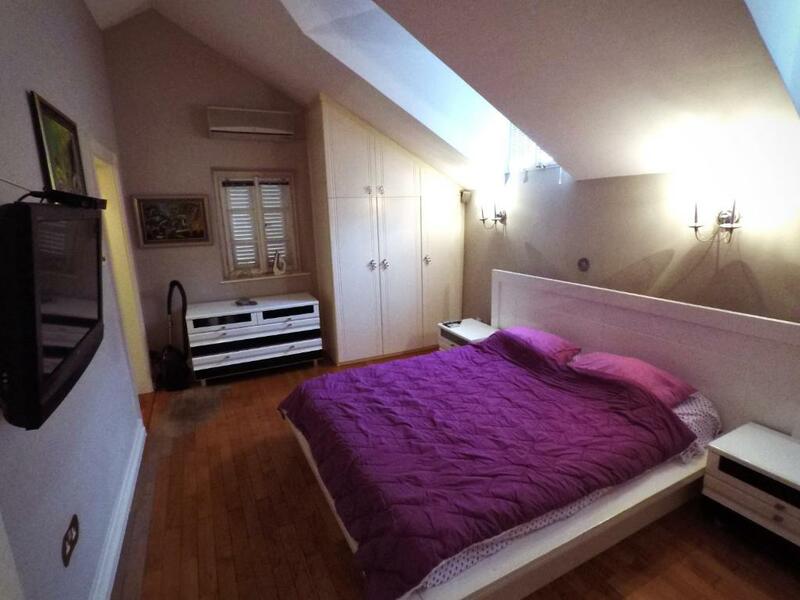 Set within the Old Town of Budva and only 50 yards from a pebbly beach, London Apartment offers air-conditioned interior and free Wi-Fi. The Venetian Walls and the Holy Trinity Church are within walking distance. This elegantly decorated apartment comprises a living room with a flat-screen satellite TV and a kitchen with a dishwasher and dining area. 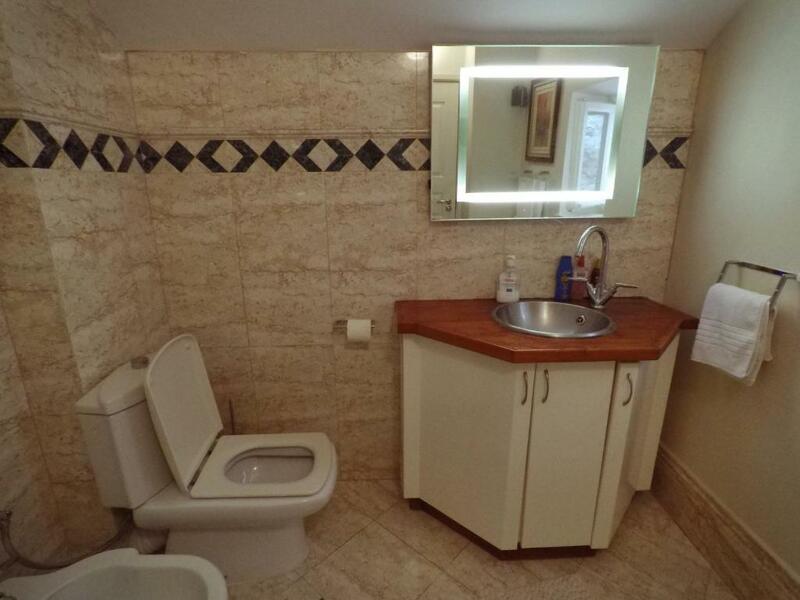 It includes a bathroom with a shower and a washing machine. A variety of dining options and bars, as well as a grocery store can be found in the vicinity. The popular sandy beach Jaz is 3.1 miles away. Guests can visit the Podmajne Monastery located 0.9 miles away. Excursions to Lovćen National Park and Skadar Lake can be arranged in the centre. Local bus stops 550 yards from the London Apartment, while the Main Bus Station is 0.9 miles away. Tivat Airport is at a distance of 20 km, and Ferry Port 16.8 miles away. The property offers parking at an extra cost. London Apartment has been welcoming Booking.com guests since 30 Oct 2013. When would you like to stay at London Apartment? Air-conditioned apartment featuring a living room with a flat-screen satellite TV and a kitchen with a dishwasher and dining area. 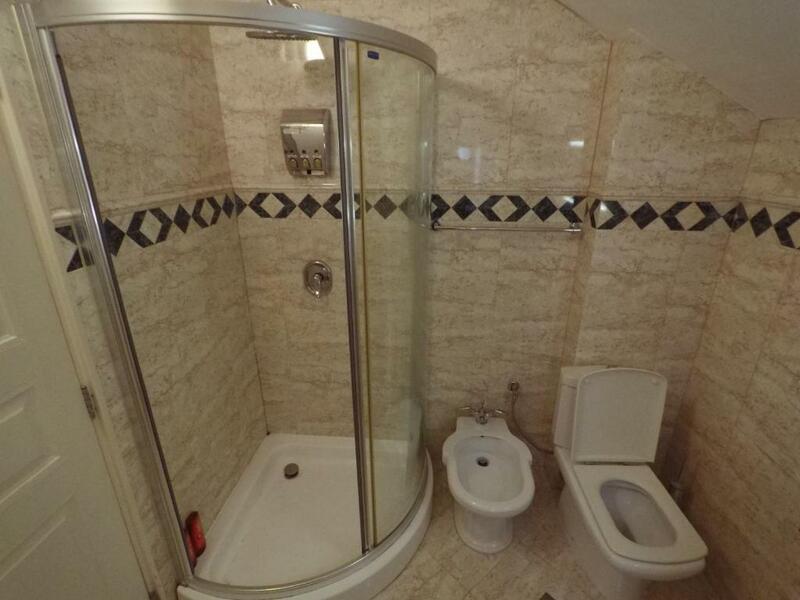 It includes a bathroom with a shower and a washing machine. Public parking is possible at a location nearby (reservation is not possible) and costs EUR 2 per hour. House rules London Apartment takes special requests - add in the next step! This is not major but the appartment could do with a guide sheet that shows where to dispose of the rubbish or how to use the appliances. The lady who hands the key is prompt and efficient but does not go over those details when handing the key over. Moreover, a couple of cleanning products would be useful for stays of more than weekend. In the attached photos for the presentation of this property, the traveler can see photographs of stairs, but he can not imagine where the stairs are located (except the entrance). Therefore, I think it is more honest than the traveler be warned that for it to reach the apartment from the street, you have to climb 45 steps (i.e. almost the equivalent of three floors). 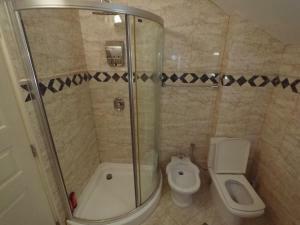 It is clear that the apartment is not indicated for travelers having some disabilities. However, we (elderly couple) have defeated these difficulties, but was not so easy!! Noise from nearby club, would start at 11:00pm and go to 1:00am every night - you WILL need earplugs to go to sleep (unless you’re at said club dancing the night away). Shower needs to be fixed. It is very difficult to adjust the normal temperature. 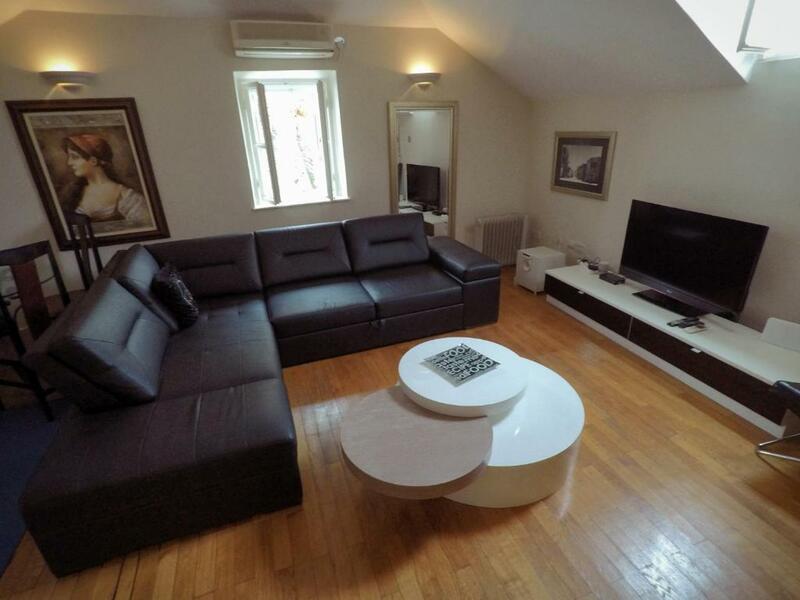 Well equipped, modern apartment in a quaint location which unfortunately is right next to a restaurant whose clients do not appear to want to depart the premises until around 01-30. If you are an early bird to your bed I would not recommend this place for its position. Budva does appear to be a bit of a party town, so be warned. Our biggest complaint was the total lack of communication from the owner regarding the details of key collection, in the end it involved making a mobile phone call to her in London where she resides , to find out how to get in. We were given instructions as which particular shop nearby held the key and to whom the "cash" payment was to be made. Another issue was the parking. The booking clearly stated that overnight parking was available but required a reservation, which I had done at the time of booking some 4 months previously, a text message was received a couple of days prior to our arrival stating " problems" with the parking but no worries there would be available "street" nearby. Totally incorrect. Following assurances from the shopkeeper key holder, the car was left on the nearest public paying car park to the apartment from 17-00 until 10-30 the following morning and cost a whopping 32-50 euros. This cost on top of the rental brought the total outlay for an average quality apartment into the 5* luxury bracket. Very poor customer relations from start to finish, clients need much more information up front about key collection and the parking difficulties.